I discovered Miss Polly Natural Skincare back in 2011 and reviewed the Frangipani Body Butter at the start of 2012 (click here). Polly took a break from her business but I am pleased to say she is back making products and the website is up and running again. From first hand experience I can tell you the products are delightful and made with natural ingredients. The range consists of soaps, lip balms, hand and foot balms, cleanser and facial serum. The Intensive Hand Treatment won Best hand cream 2012 in the Green Parents Natural Beauty Awards. 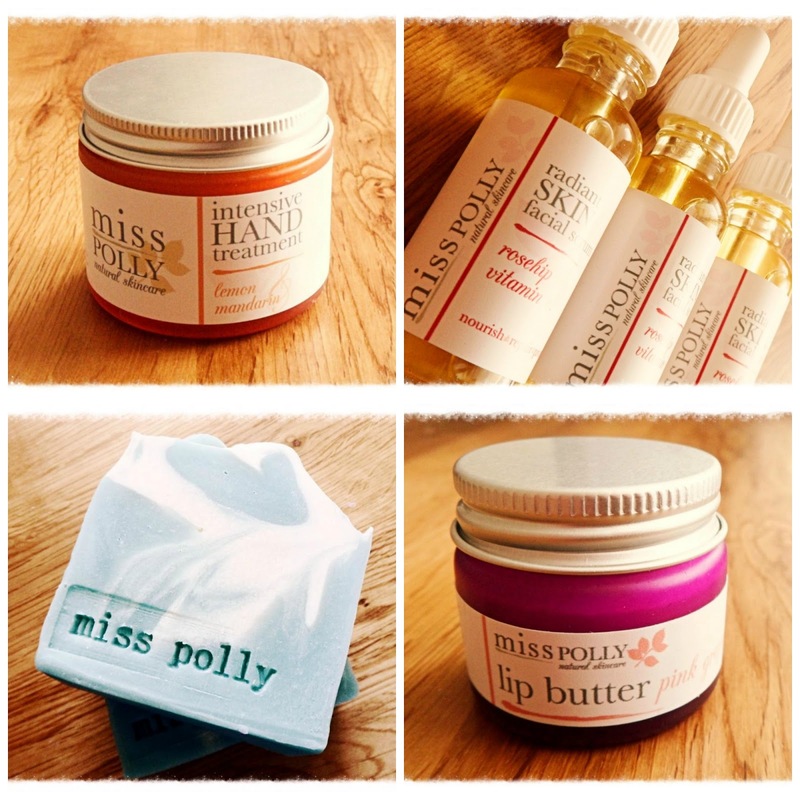 It repairs dry skin and is one of Miss Polly's most popular products. Later on in the year Polly hopes to add body scrubs to the product line. If you are familiar with the soaps you may notice some changes. They are bigger with a small amount of colouring to give them visual impact. The colour is less than 1% of the ingredients and the soaps still conform to Miss Polly's No Paraben, SLS, SLES ethos. They can be made without colour upon request. If you love handmade, natural skincare then you need to visit the Miss Polly website and order for yourself, you will not be disappointed. These look lovely products. I'll definitely have a browse of the website.